John Bunyan, author of The Pilgrim’s Progress, was imprisoned in the early 1660s for abstaining from Anglican church services and preaching at unlawful meetings — such things being no longer the vogue they were round the campfires of Cromwell’s army — and this opera starts with him in prison. There he dreams, and we follow his journey from the wicket gate onwards to the celestial city. 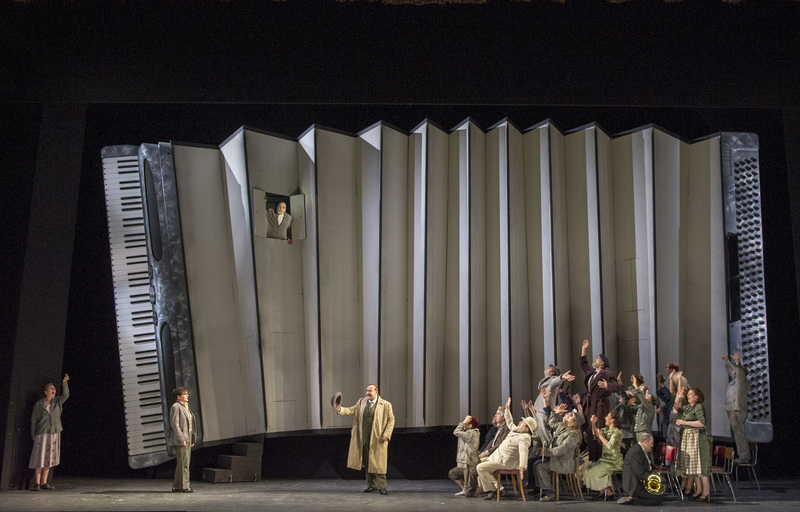 The first performance of this opera, in 1951 at Covent Garden, was a great disappointment to its composer Vaughan Williams, but this production by Yoshi Oïda works beautifully. 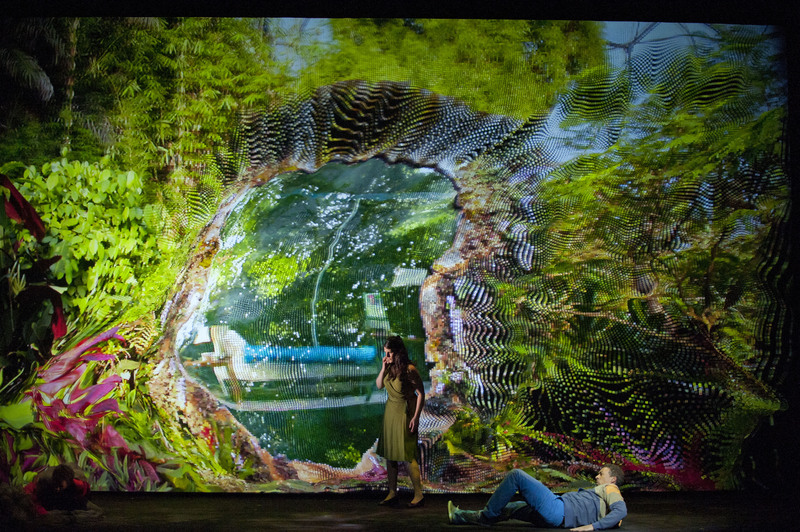 The sets are simple, uncrowded, and the music and words are free to speak for themselves. The movement of characters is cleverly done, and there are wonderful theatrical effects such as Apollyon as a gigantic garbage-monster. After rising from his sleep this mutant fiend comes threateningly close to killing the Pilgrim, temporarily represented by a puppet, but he rises again to defeat Apollyon and then encounters Vanity Fair. 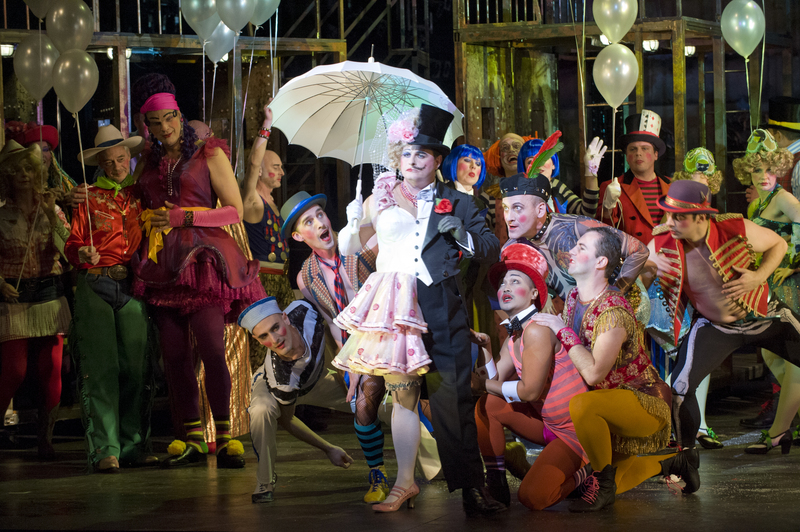 This was a riot of colour: nuns in corsets and fishnet stockings, transvestites, bi-gendered people and much more, but Lord Hate-Good arrives to condemn the Pilgrim to prison. Starting the second part we hear those famous lines My God, my God, why hast thou forsaken me, with images of war appearing on a small screen. This screen later shows the waters the Pilgrim must cross to reach the celestial city, and blindfolded he sings Preserve me from the deep waters … They are waters of death. Few mortals have traversed them and lived: Gilgamesh, Odysseus … but this is all a dream and the Pilgrim is back where he started, in prison. Roland Wood gave a fine performance of the main role, and the chorus were magnificent. Other singers took multiple roles in the vast cast of characters, and Timothy Robinson sang and acted strikingly well, as did Ann Murray. Martyn Brabbins conducted with a glorious sweep giving a meditative rapture to the music. 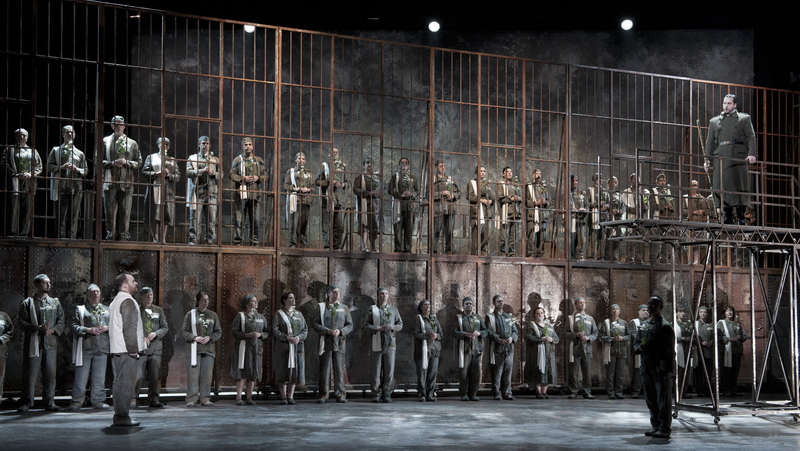 Yet this is opera, not oratorio, and Yoshi Oïda’s sensitive production is a thoroughly fulfilling theatrical experience. The hero in Bunyan’s original is named Christian, but Vaughan Williams changed this to The Pilgrim, creating a drama that applies beyond Christianity. As the music started I was reminded of the story when U.S. ambassador Wendy Chamberlin took over the Pakistan mission, two days after the September 11 attacks. President Musharraf told her that jihad once had the meaning of a personal struggle against perceived weaknesses rather than the massacre of perceived enemies, and it is the sense of personal struggle that comes through in this production. 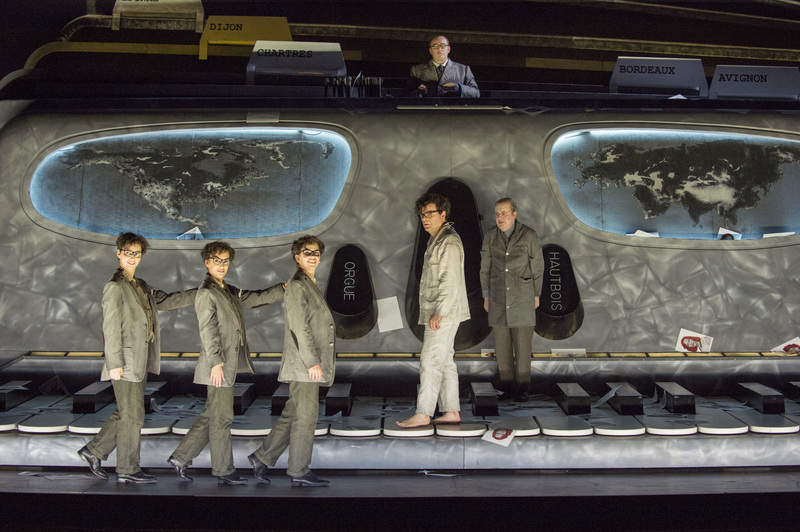 Another success for the ENO — not to be missed. 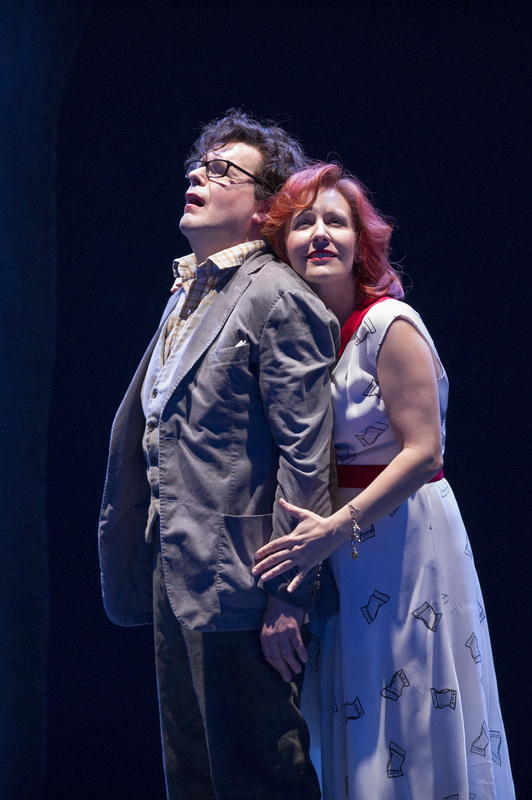 Performances continue until November 28 — for details click here. Dreams or Reality? For Michel, a bookseller from Paris, there is something addictive about dreams, but in the first two acts the auditorium lights slowly come on at the end, as if he is waking up. When the third act nears its conclusion the lighting shows some promise of doing the same again, but it suddenly goes dark and Michel is trapped for ever. 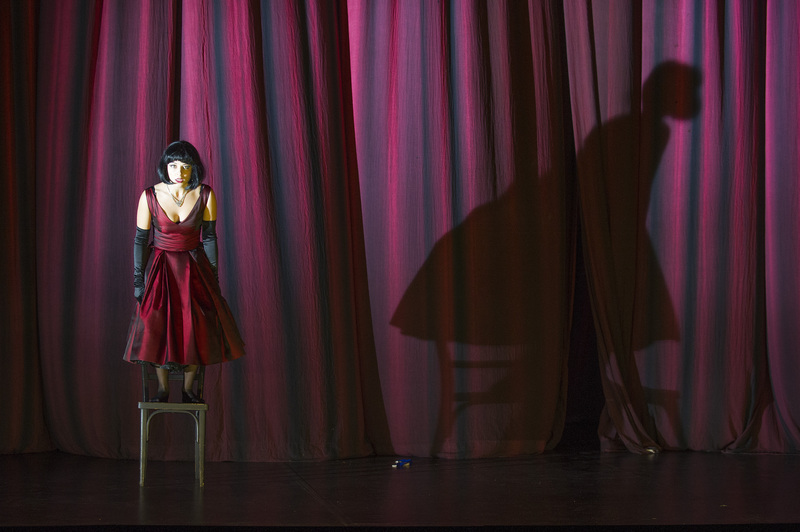 This clever idea is just part of Richard Jones’s excellent new production of Martinů’s opera. 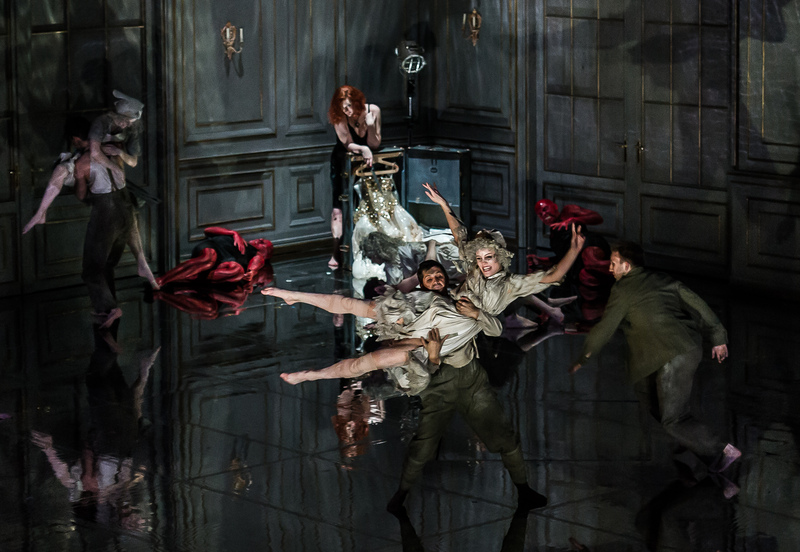 Czech composer Bohuslav Martinů left his homeland for Paris in 1923 and during his many years there he found Georges Neveux’s recent play Juliette, ou La clé des songes (the key of dreams) a fine subject for opera. He wrote the libretto himself, initially in French then in Czech, and it was first performed in Prague in 1938. The main protagonist Michel yearns to find a girl named Julietta, and he revisits the small coastal town where he once heard her singing at an open window. The inhabitants seem to live only in the present without memory of the past, and when Michel encounters a fortune teller he finds she doesn’t read the future, only the past … and can also read dreams. Nothing however is quite as it seems, and though Michel shoots Julietta it turns out later she is still alive and there is not a drop of blood. Surreal it certainly is, and the music is intriguing. Severely spare at times, yet suddenly swelling into glorious melody, particularly in Act II, which is nearly as long as the other two half-hour acts combined. We are swayed and seduced by the harmonies, taken away into dreams, memories and hallucinations, and Edward Gardner in the orchestra pit succeeds brilliantly in bringing out the mystery and charm of this music. 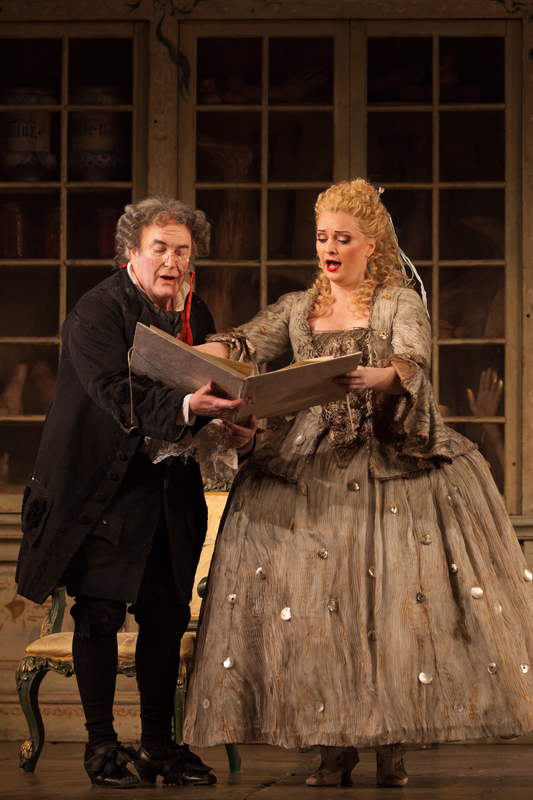 Peter Hoare was outstanding as Michel, with Julia Sporsén giving a fine portrayal of Julietta. Andrew Shore was excellent as the man in a helmet, plus two other roles, and the other soloists, such as Jeffrey Lloyd-Roberts and Susan Bickley, all did well and took on multiple roles. 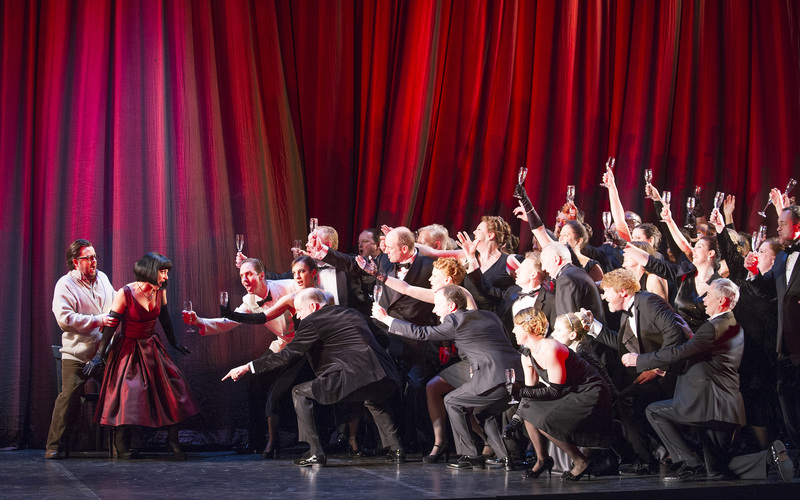 An abundance of roles helps advance the action by exchanges between a constantly changing sequence of individuals, avoiding the need for extended vocal solos or big arias, despite the lyrical nature of the music. 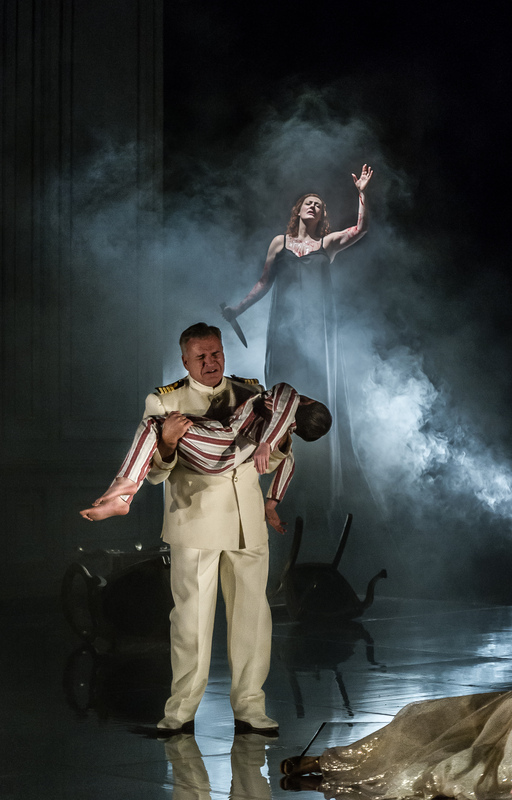 Huge designs by Antony McDonald, helped by Matthew Richardson’s excellent lighting, give a sense of irreality to Michel and the strange people he encounters, and the staging and wonderful conducting make this a compelling evening. 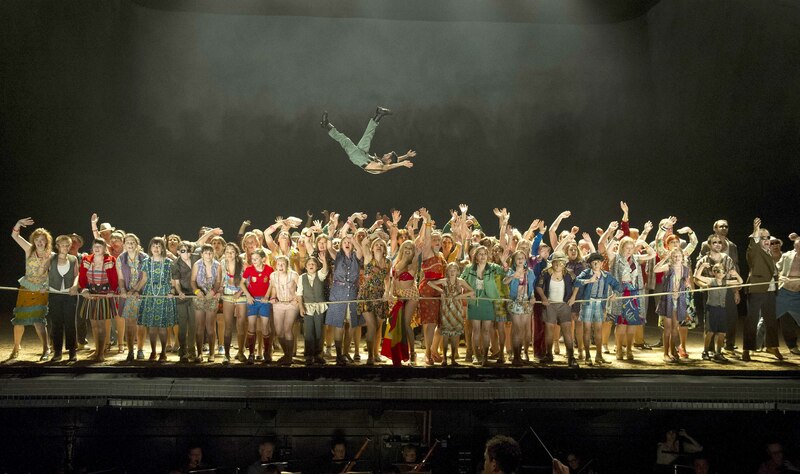 Edward Gardner and director Richard Jones have scored another great success for the ENO. Performances continue until October 3 — for details click here. This powerful and illuminating production by Nicholas Hytner may be seeing its last outing after twenty-five in the repertoire, so don’t miss this ‘final’ revival. 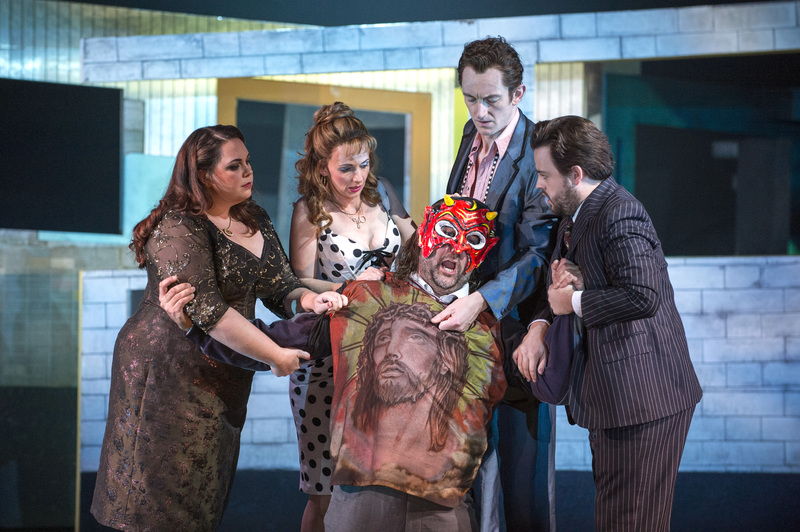 The new cast, with young conductor Nicholas Collon making his ENO debut, did a super job. 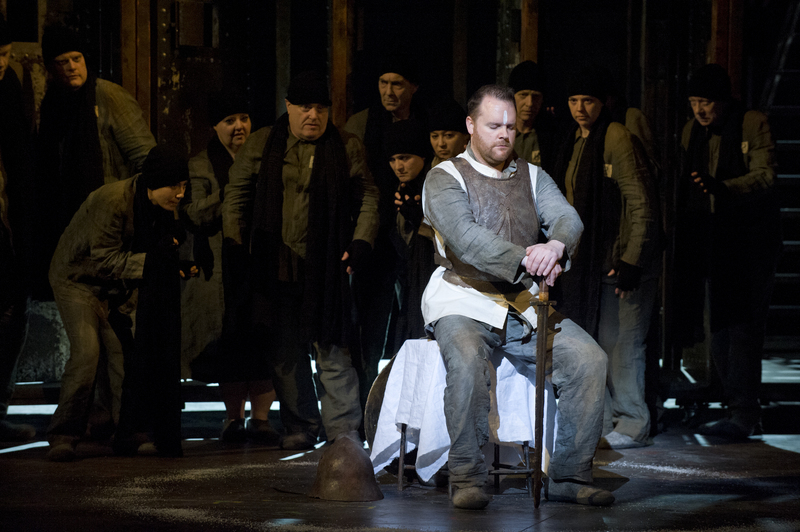 For me the star of the show was Duncan Rock, who recently made a very strong ENO debut as Donald in Billy Budd. 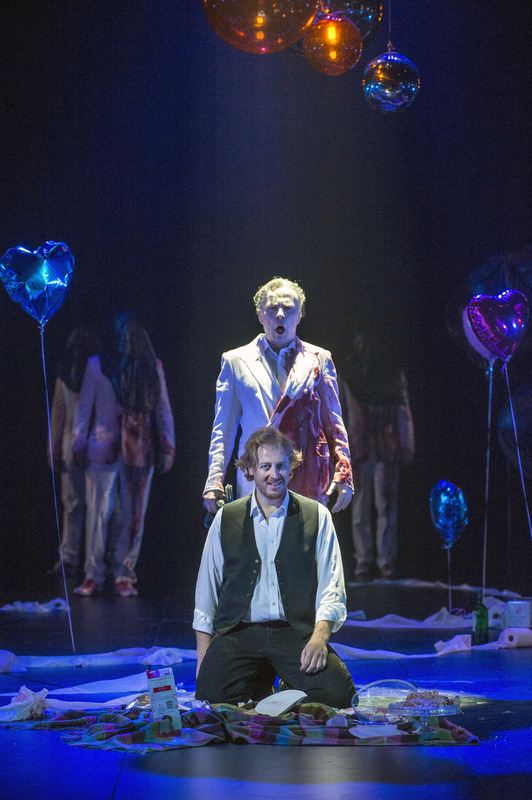 Here he played Papageno with huge charm and ingenuousness, and as this is all done in translation he had some fun adding an Australian touch to the early part of the text, calling Tamino ‘mate’ and referring to Papagena as a ‘sheila’. 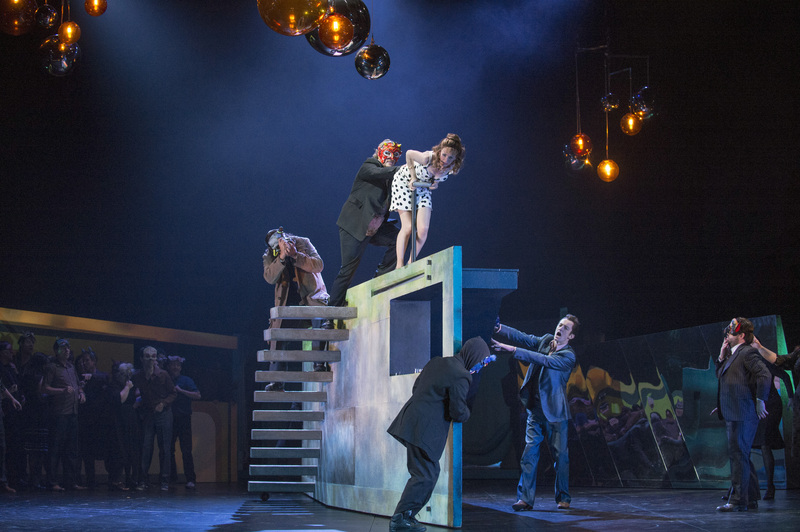 It worked, and Elena Xanthoudakis, another Australian, gave a beautifully vivid portrayal of Pamina. 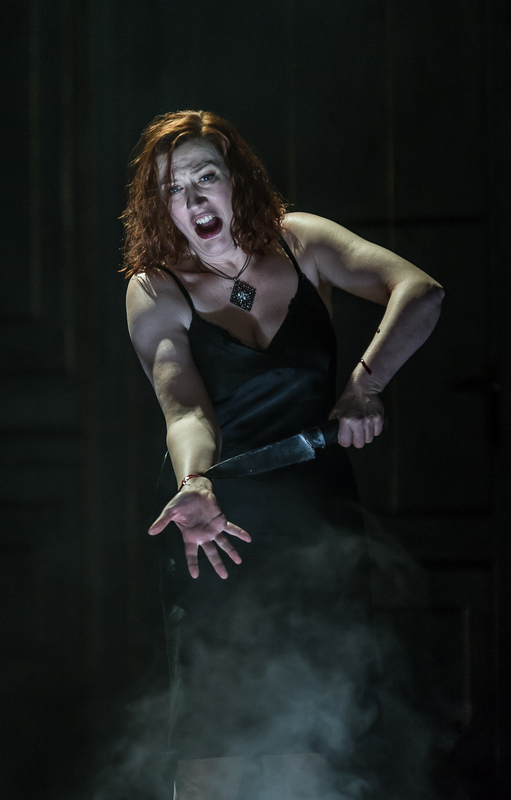 When she is in anguish in Act II after Tamino won’t answer, the lighting, superbly revived by Ric Mountjoy, showed her to perfection. 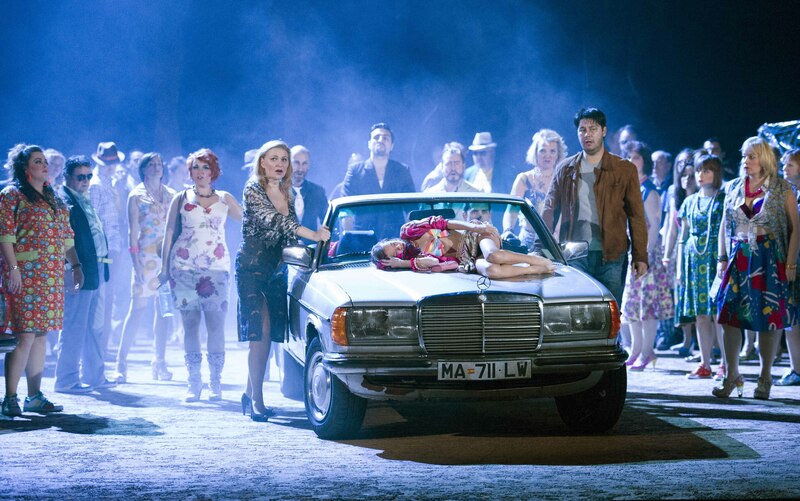 In fact this revival by Ian Rutherford and James Bonas was beautifully directed, with excellent placing of singers on the stage, giving enormous clarity to Mozart’s late masterpiece. 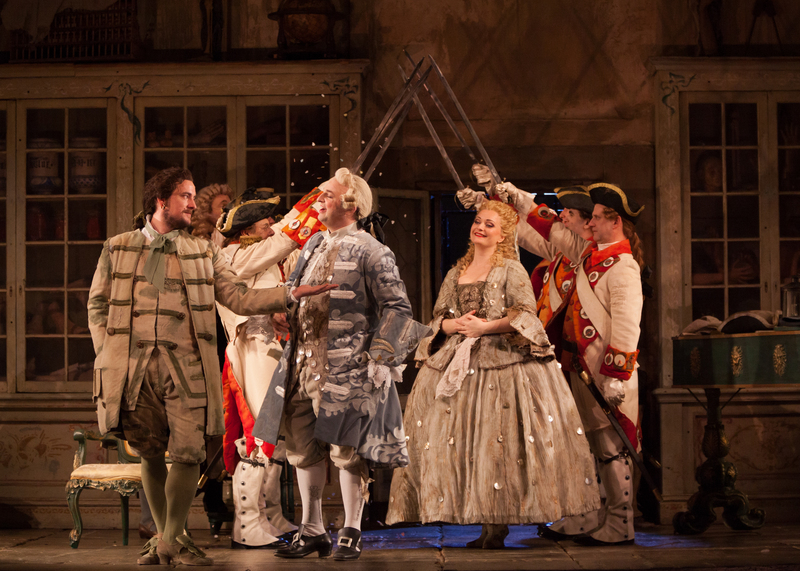 As Sarastro, Robert Lloyd showed a noble bearing, a commanding voice, and forceful histrionics at the start of Act II. 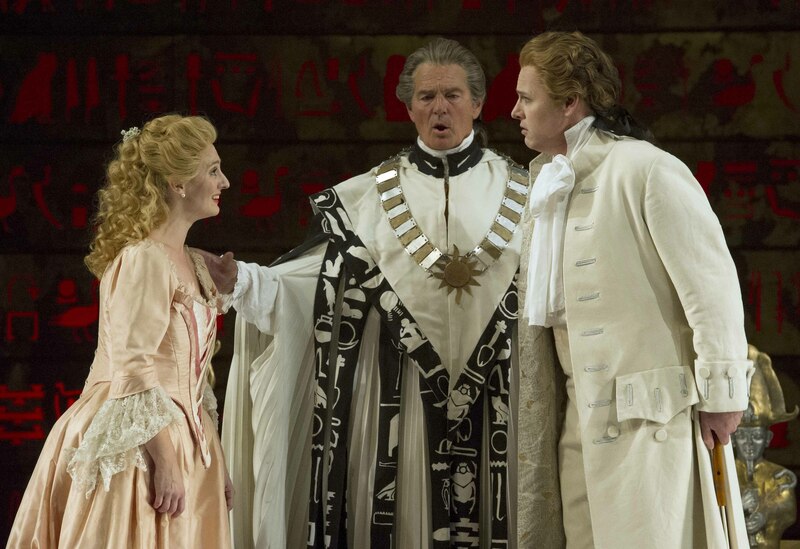 Furious he is with the Queen of the Night who was strongly sung, after a nervous start, by American soprano Kathryn Lewek, and her coloratura in the big aria in Act II was delivered with great lucidity. Her ladies, with their contrasting voices, came over very well, and Elizabeth Llewellyn with her mellifluous tones was outstanding as the first lady. There was plenty more in the way of fine singing with Adrian Thompson as Monostatos convincingly egregious in his unrequited desire for Pamina, Roland Wood a strong Speaker, and Barnaby Rea a hugely authoritative Second Priest. 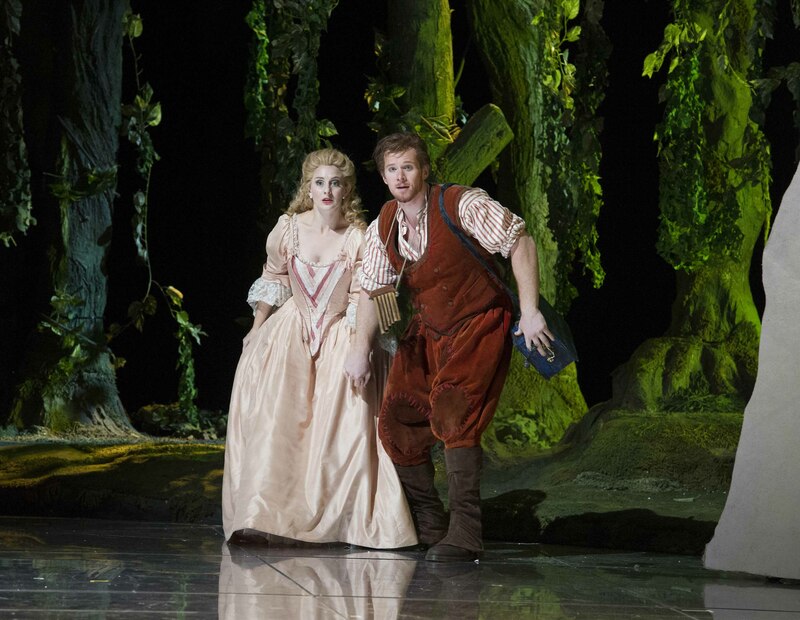 Shawn Mathey sang very strongly as Tamino, though his voice was a bit Heldentenorish for my liking, and Rhian Lois was a charmingly Welsh Papagena. Fine singing and stage presence from the chorus and the three boys helped this production come alive, and although the designs by Bob Crowley, with their Egyptian hieroglyphs and flowing robes, are so good it would seem impossible to fail, good direction is vital and opening night showed it in abundance. 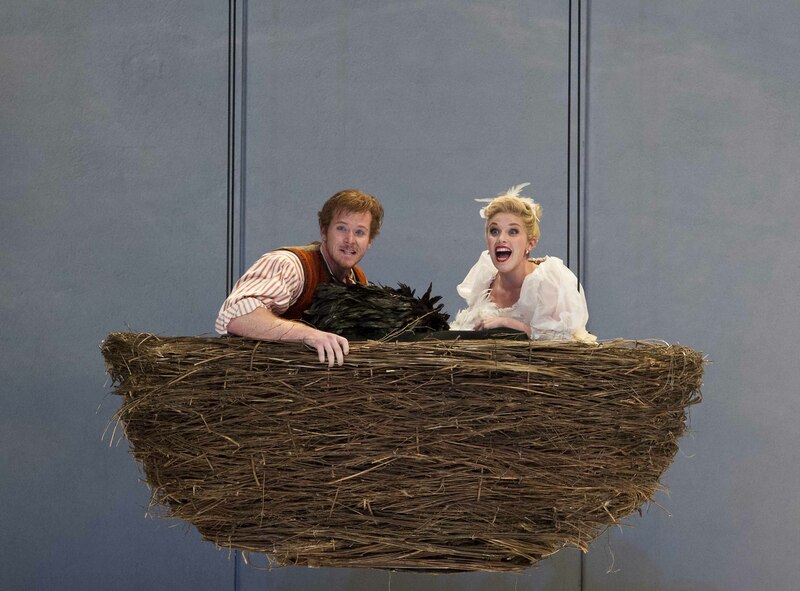 The bird costume for Papageno at the start is a delight, and at the end when he and Papagena are united they are both portrayed as birds in a nest, sailing into the sky. Lovely fun. 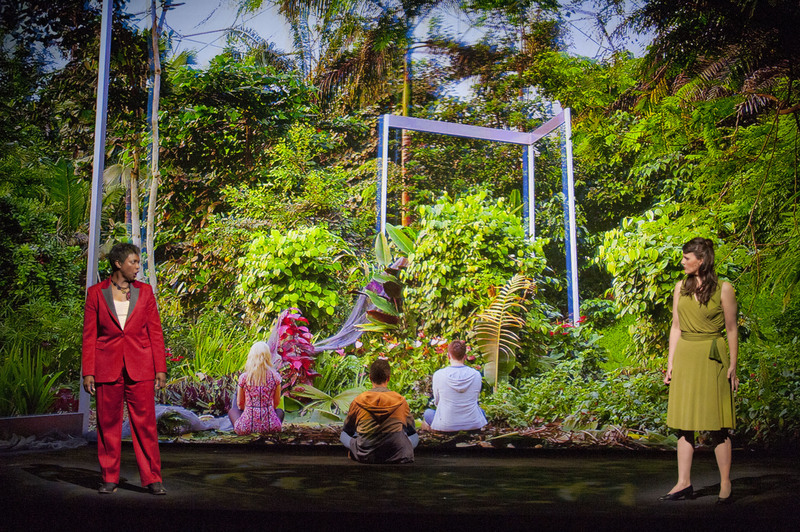 Performances continue until October 18 — for details click here.